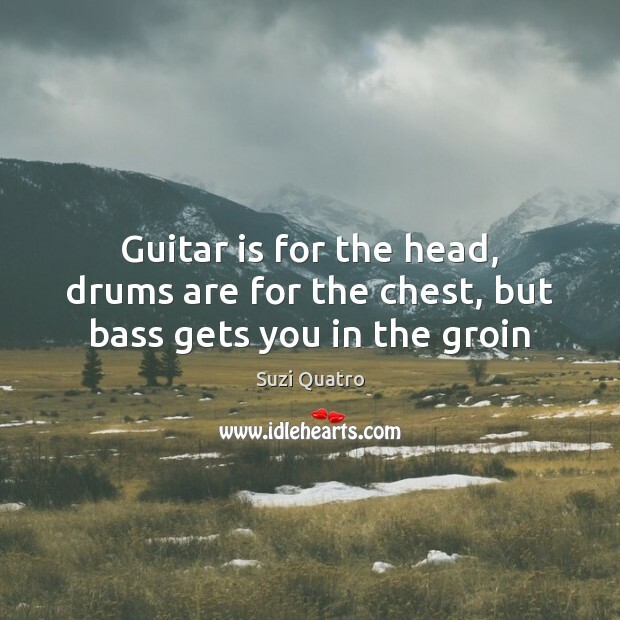 Quotations about Bass Guitar. Quotes to stimulate mind and drive action! Use the words and quote images to feed your brain inspiring things daily! 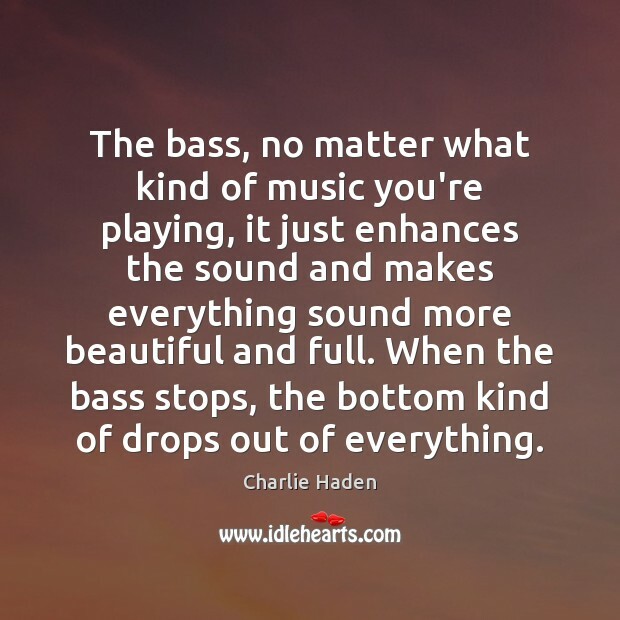 The bass, no matter what kind of music you're playing, it just enhances the sound and makes everything sound more beautiful and full. When the bass stops, the bottom kind of drops out of everything. 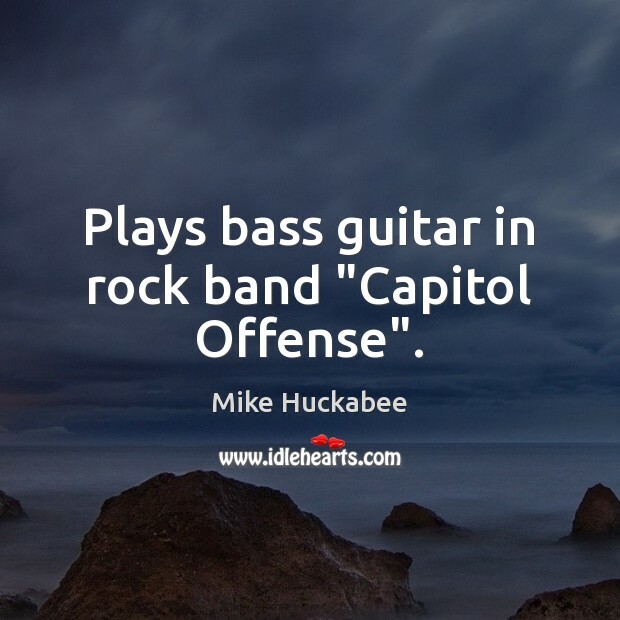 Plays bass guitar in rock band "Capitol Offense". 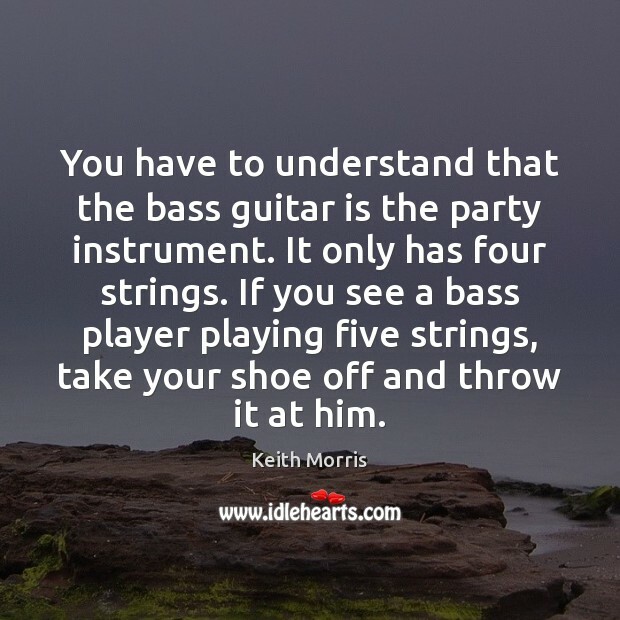 You have to understand that the bass guitar is the party instrument. It only has four strings. If you see a bass player playing five strings, take your shoe off and throw it at him. 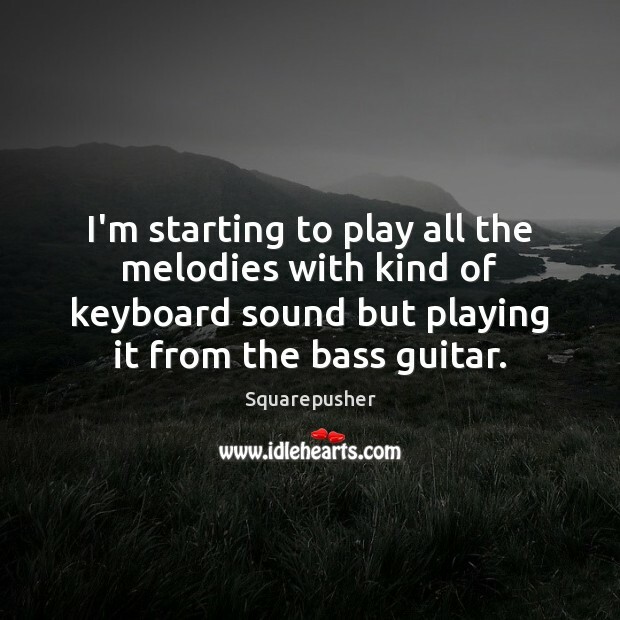 I'm starting to play all the melodies with kind of keyboard sound but playing it from the bass guitar. 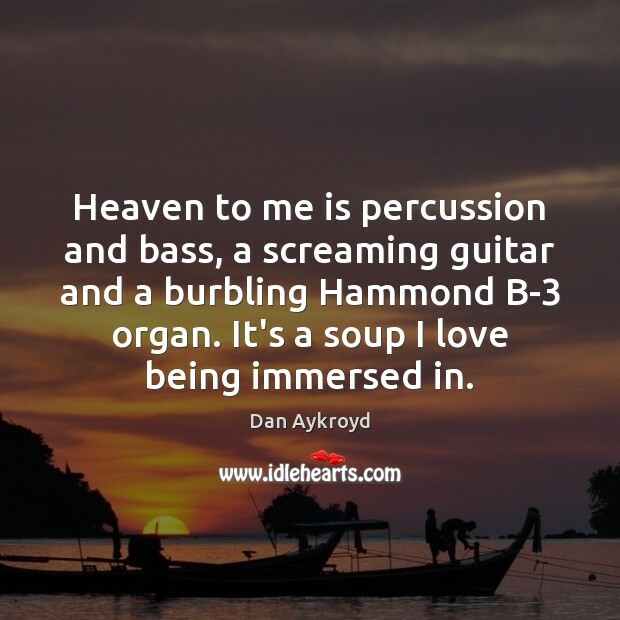 Heaven to me is percussion and bass, a screaming guitar and a burbling Hammond B-3 organ. It's a soup I love being immersed in. During college I realized I had a music predisposition and really got involved in it. I started playing bass guitar. That was how I began to fit in. 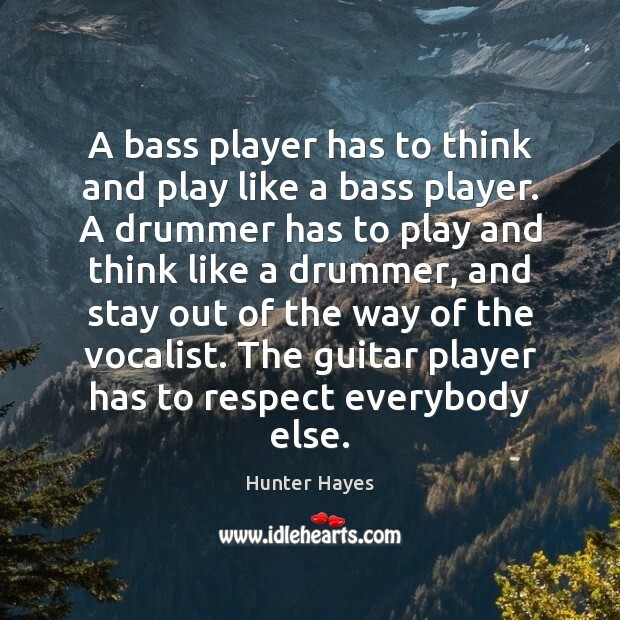 A bass player has to think and play like a bass player. A drummer has to play and think like a drummer, and stay out of the way of the vocalist. 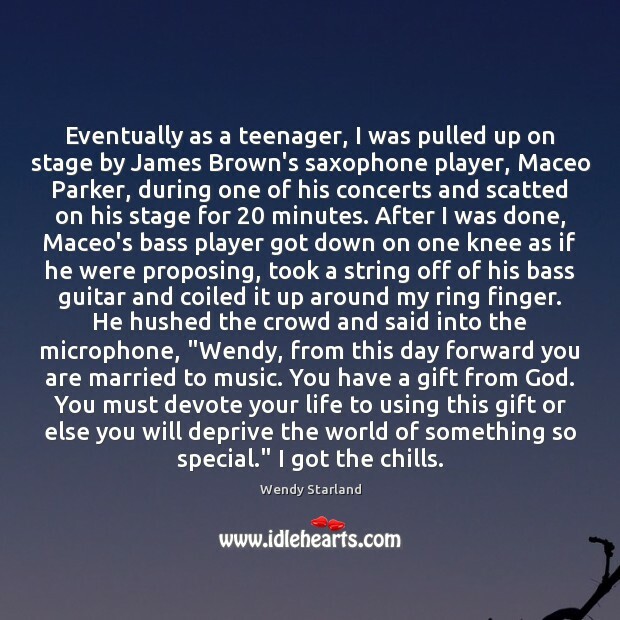 The guitar player has to respect everybody else. 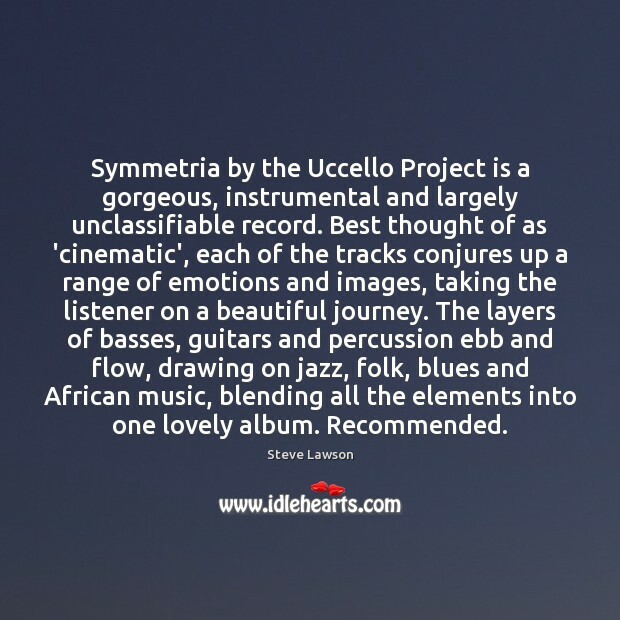 Symmetria by the Uccello Project is a gorgeous, instrumental and largely unclassifiable record. Best thought of as 'cinematic', each of the tracks conjures up a range of emotions and images, taking the listener on a beautiful journey. The layers of basses, guitars and percussion ebb and flow, drawing on jazz, folk, blues and African music, blending all the elements into one lovely album. Recommended. 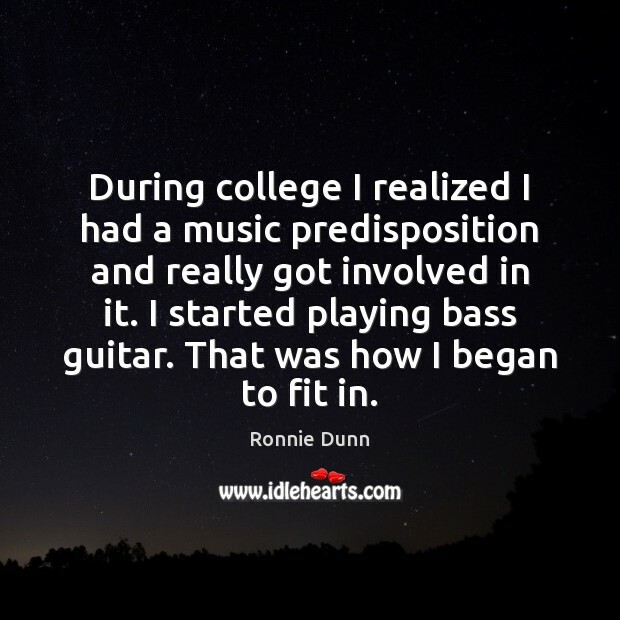 I wasn't originally a bass player. I just found out I was needed, because everyone wants to play guitar. 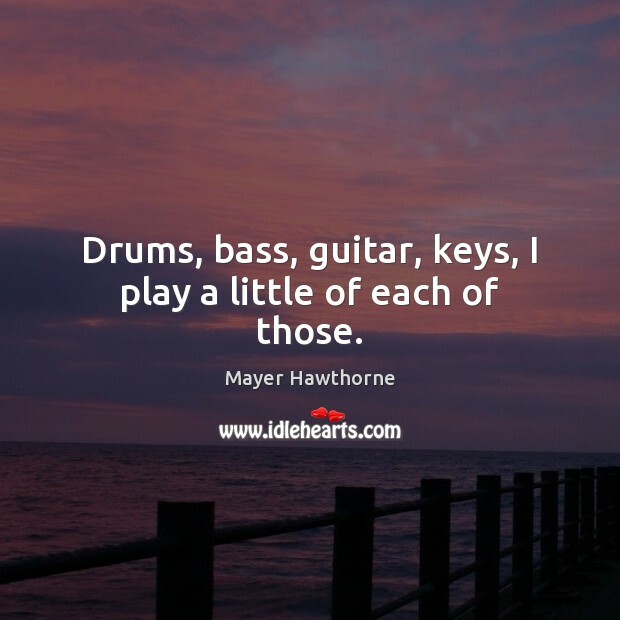 Drums, bass, guitar, keys, I play a little of each of those. 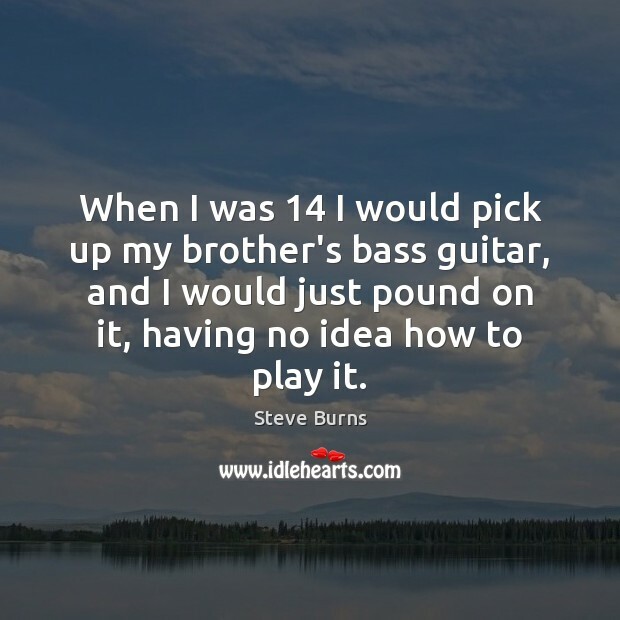 When I was 14 I would pick up my brother's bass guitar, and I would just pound on it, having no idea how to play it. I used to be a session musician before I was a wrestler. I played bass guitar. 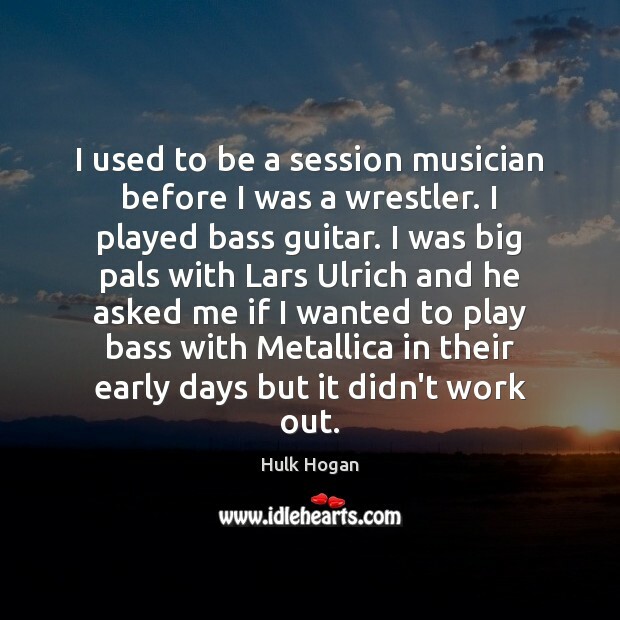 I was big pals with Lars Ulrich and he asked me if I wanted to play bass with Metallica in their early days but it didn't work out. I'm not a real musician. 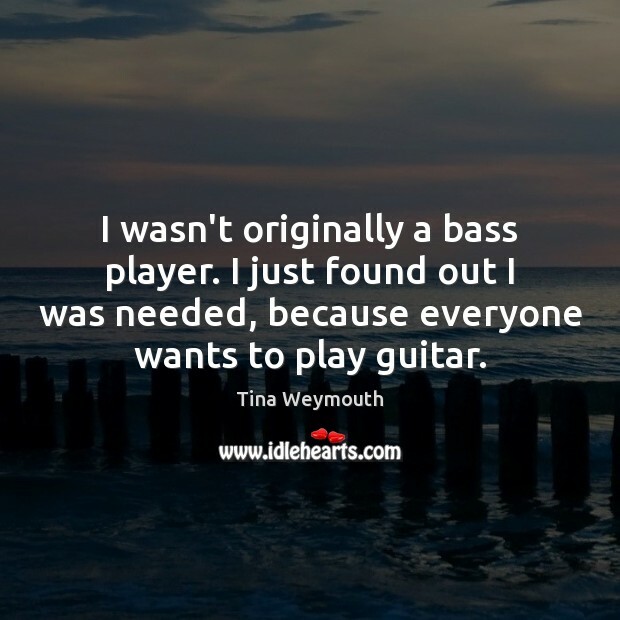 If you give me a bass guitar and you ask me to improvise something, or even be with some musicians and follow them, I wouldn't be able to do it. And I want to change that. 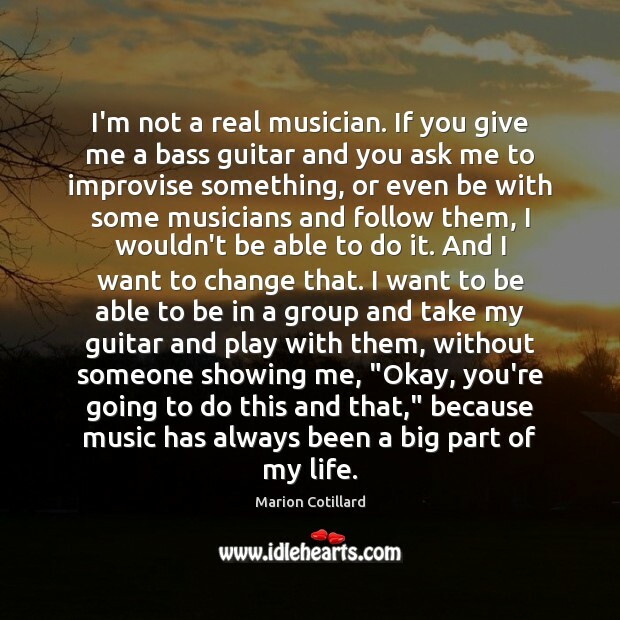 I want to be able to be in a group and take my guitar and play with them, without someone showing me, "Okay, you're going to do this and that," because music has always been a big part of my life. 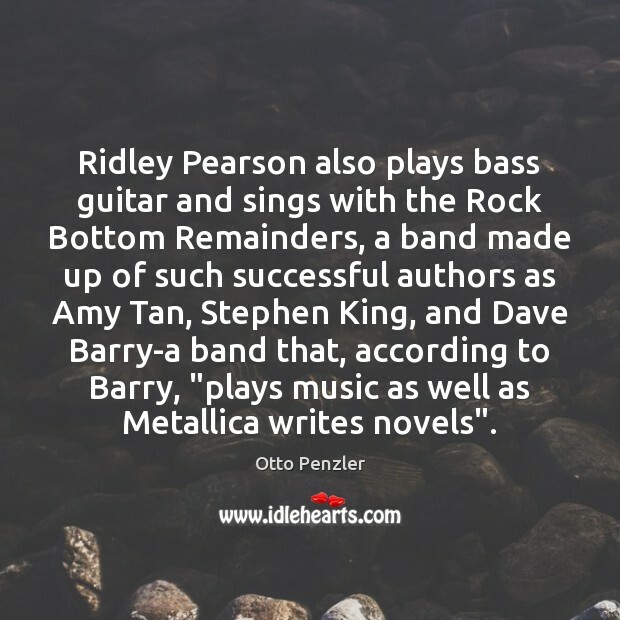 Ridley Pearson also plays bass guitar and sings with the Rock Bottom Remainders, a band made up of such successful authors as Amy Tan, Stephen King, and Dave Barry-a band that, according to Barry, "plays music as well as Metallica writes novels". 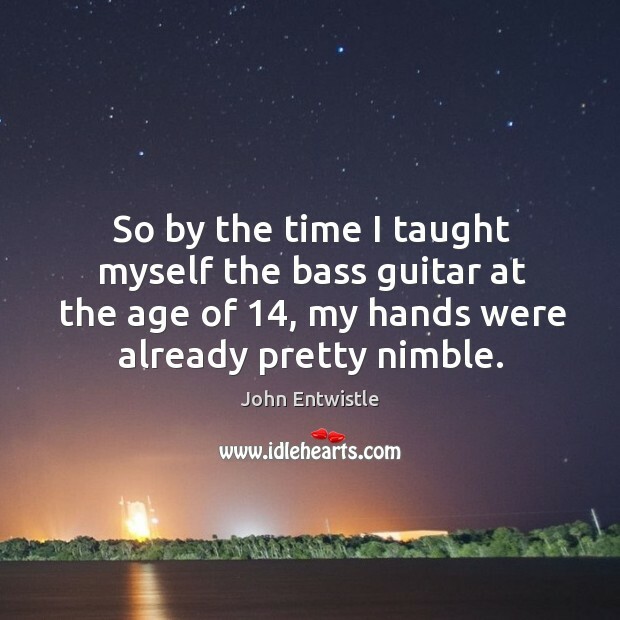 So by the time I taught myself the bass guitar at the age of 14, my hands were already pretty nimble.